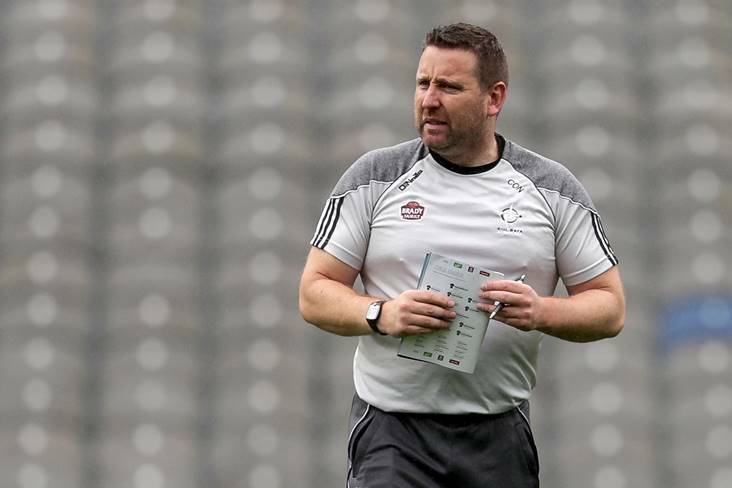 Kildare boss Cian O’Neill says he sees plenty of benefits in the new experimental rules brought in for Gaelic football. O’Neill was speaking after his side’s 0-16 to 1-6 victory over Carlow in Newbridge this afternoon and remarked on what he feels are positives when it comes to the new kickout, advanced mark and handpass rules. "I think they all have benefits," he told RTÉ Sport. "Once I knew they were coming in I was excited and our whole management team was. "We just felt 'it is what it is, let's be pragmatic and let's work hard at trying to coach the lads to working with the rules as opposed to giving out about them." He added: "I think we worked pretty well with the handpass rule. I've always been a fan of the offensive mark. I like the notion of using that to try and combat 13/14 men behind the ball. "The sideline, not so much, I'm struggling to see the value of it. The sin bin is back in again and it's up to teams to be clever enough to maximise those 10 minutes if you're 15 v 14 and teams that suffer it to be defensively solid. “I have no issues with the rules, we just have to learn to be better playing within them."